First, allow me to thank the great folks at MEElectronics for sending me a sample of the newly released M11P+ IEMs for review. Prior to sometime in early February, I wasn’t aware that MEElectronics existed. 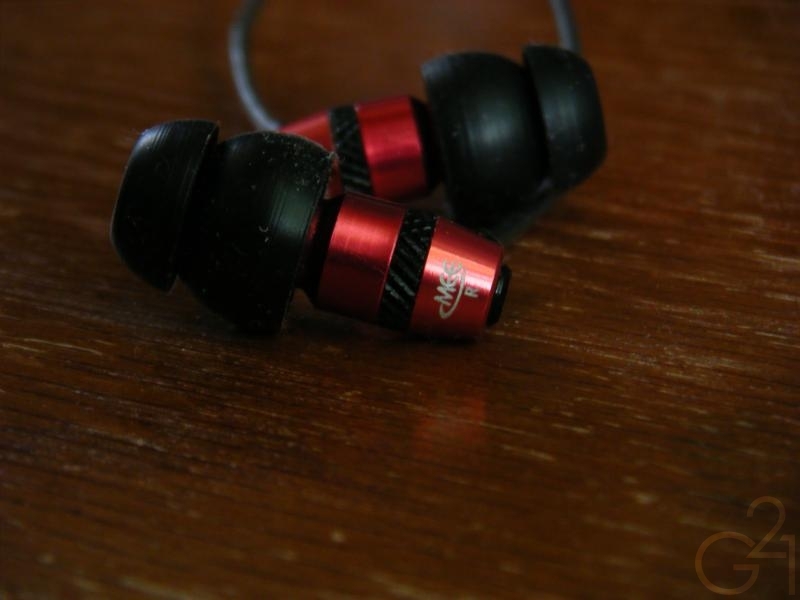 It wasn’t until I came across a review of their M9 IEMs on Head-Fi that I decided to check them out and the rest is history. MEElectronics IEMs have been some of the best I’ve used in their respective price brackets and I’ve grown a great deal of respect for the company, as they have delivered a large number of highly competitive products at relatively low prices, something other, much larger companies have some problems with in the marketplace. The original M11 was always something of an enigma to me. 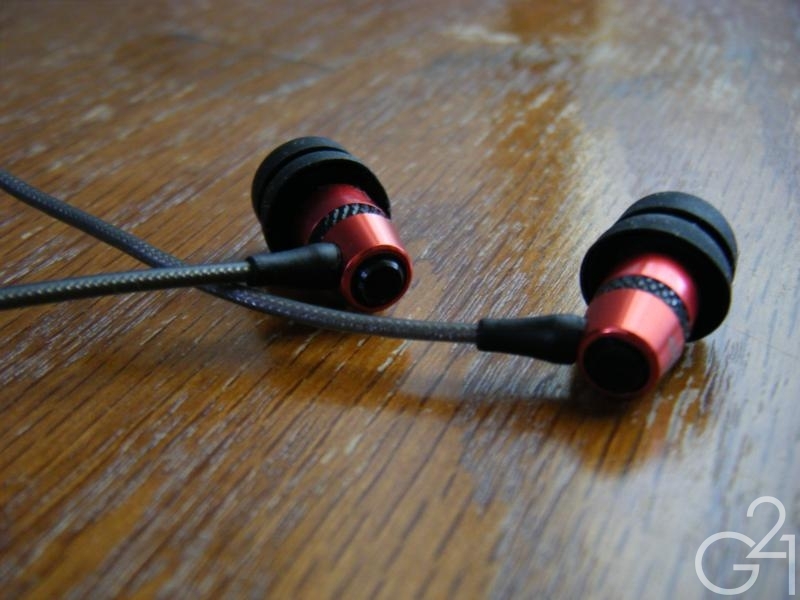 I’ve never personally had any listening time with it but it seemed to be the earphone MEElectronics would like to have championed as their flagship but was viewed almost universally as being sonically inferior to the M6 and in, some cases, even the M9s. Now, MEElectronics has re-tuned the M11 driver and released the updated versions of the M11 and M11P as the M11+ and M11P+, promising better sound quality over the originals. 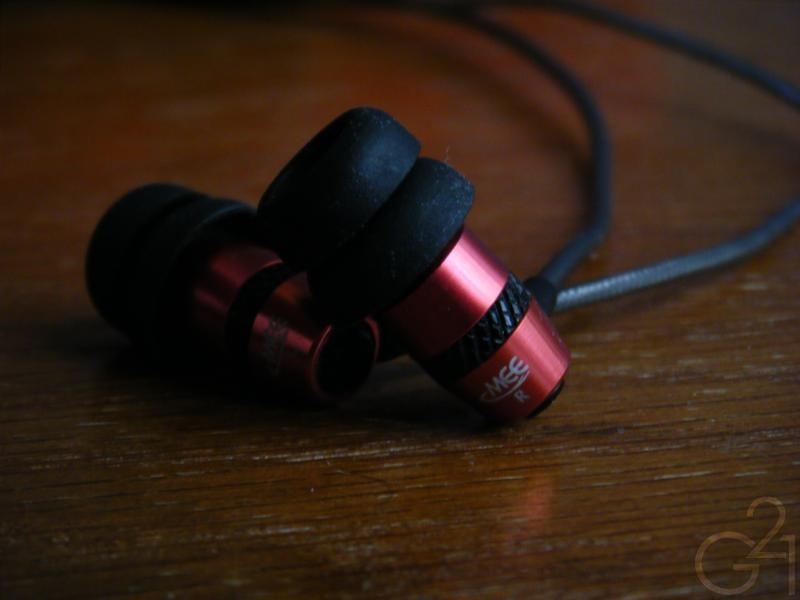 Read on for my full review of the MEElectronics M11P+ IEMs. The M11P+ IEMs feature a conventional straight-barrel design with slightly elongated and slender metal housings. This slim, lightweight housing design makes these very easy and comfortable to insert and wear while still feeling very solidly built and able to stand up to a great deal of abuse. The housings are designed similar to the M2 in that they feature no filters and that may be of some concern to some users but this wasn’t a problem for me. I also wish the left and right markings were a little more than painted on the housings as that has a tendency to rub off. The cable is, as I’ve grown to expect, excellent on the M11P+. 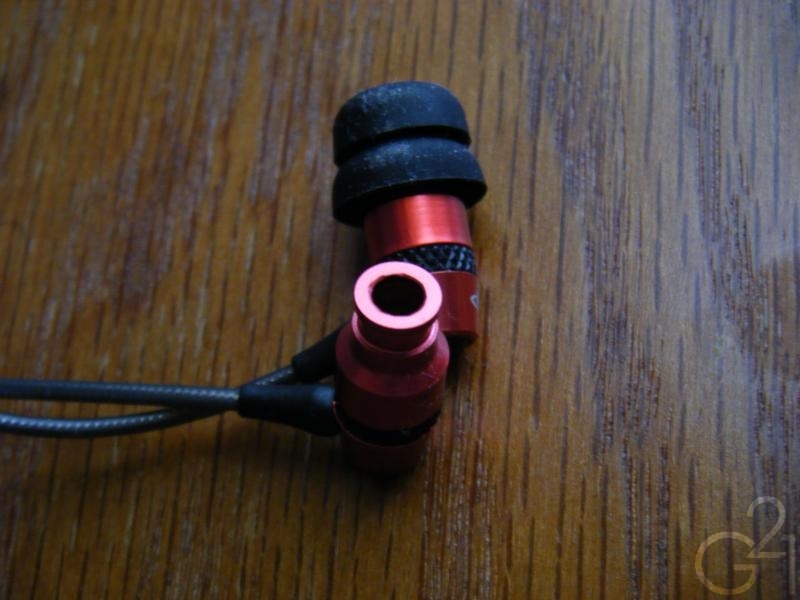 The smooth and flexible translucent cable design is similar to that of the M9s and feels very, very durable. Strain reliefs are present both at the housing entry and at the 3.5mm jack and seem to be more than adequate at protecting cable entry points. It’s rare to come across an IEM with build quality as good as this and I really can’t find any fault with them aside from the lack of filters on the nozzles but even then, that is a minor quibble at best and not necessarily a fault in design or engineering. 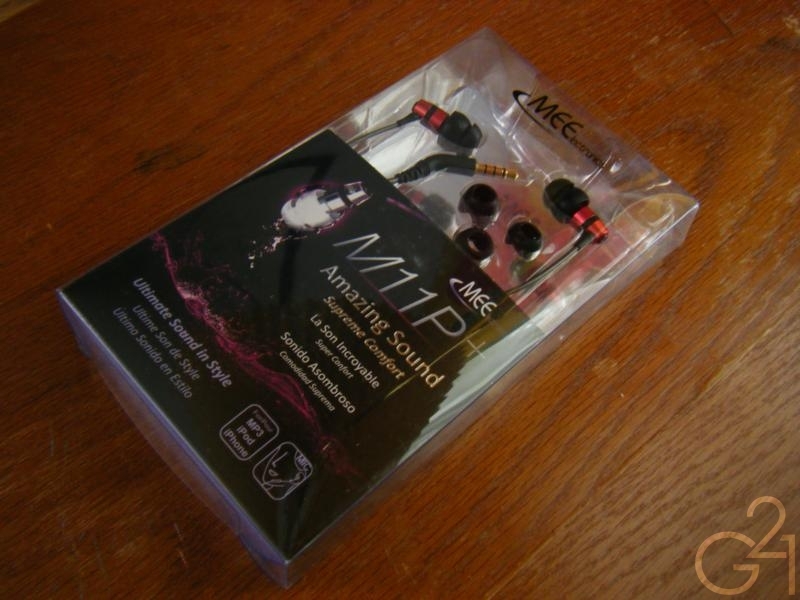 The M11P+ earphones come in a similar but slightly different clear plastic package than the M9s and M6s I’ve received earlier. The package itself is mostly the same but there has been a significant change to the artwork featured on the front and is definitely more attractive than the previous packaging. Inside the package was the same great accessory pack that I’ve grown to expect from MEElectronics (Airplane adapter, hard clamshell case, cable winder and shirt clip that’s pre-attached to the cable) aside from one big difference. MEElectronics has taken it upon themselves to include a positively massive ten pair eartip set to ensure that users will be able to achieve a great fit with the M11P+. 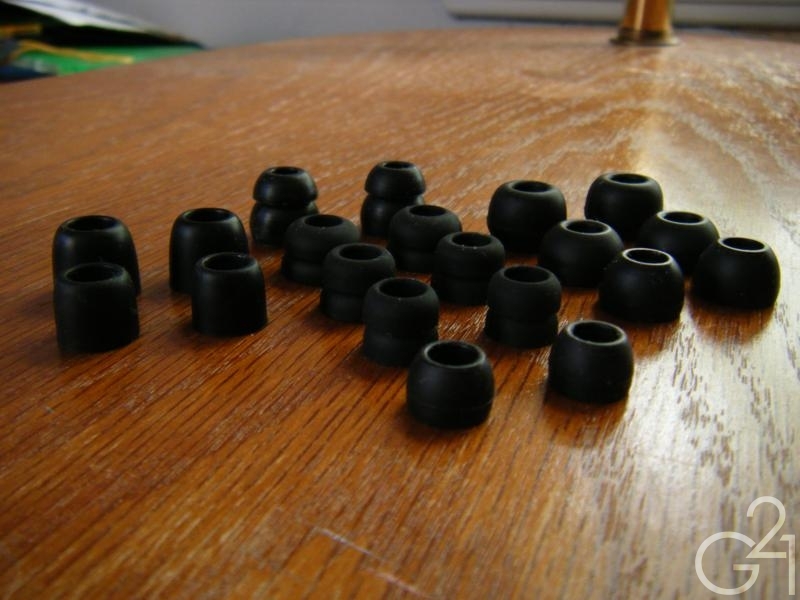 Included in this eartip set are four pairs of single flange silicone tips ranging in size from small to extra-large, two pairs of long single flange silicone tips, one pair of the large bi-flanges that comes with the M9 and three pairs of Sennheiser-style bi-flanges in varying sizes. This is, by far, the largest selection of eartips I’ve ever received with a single IEM and I applaud MEElectronics for going the extra mile. The slender, straight-barrel housings of the M11P+ make them exceptionally easy to insert and remove and are very comfortable in both shallow and deep insertion depths. Personally, the medium size Sennheiser-style bi-flanges were the best fit my small ear canals and offer slightly above average levels of isolation. Once the M11P+ IEMs are in my ears, I hardly notice them, whether I wear them over my ears or straight down. 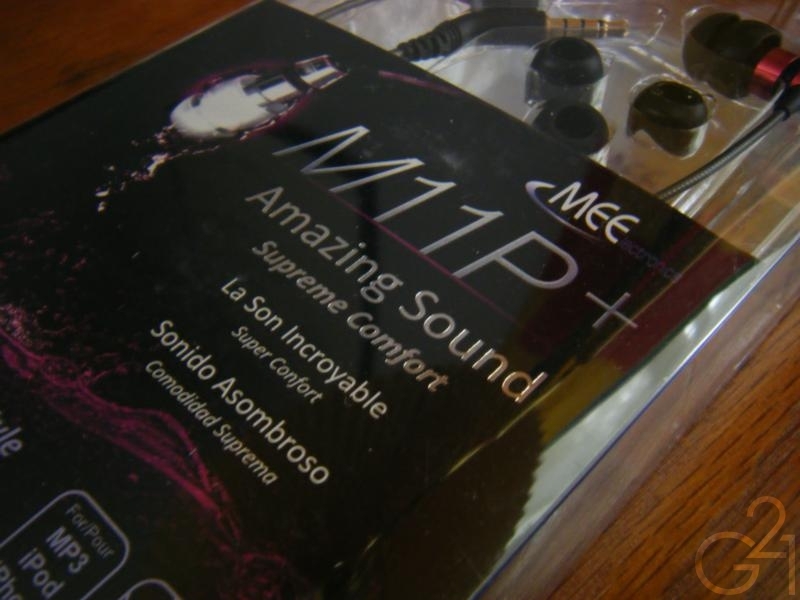 MEElectronics is advertising the M11+ with a tagline that reads “Supreme comfort” and after experiencing them, I find myself in agreement as the M11P+ are among the most comfortable IEMs I’ve used. 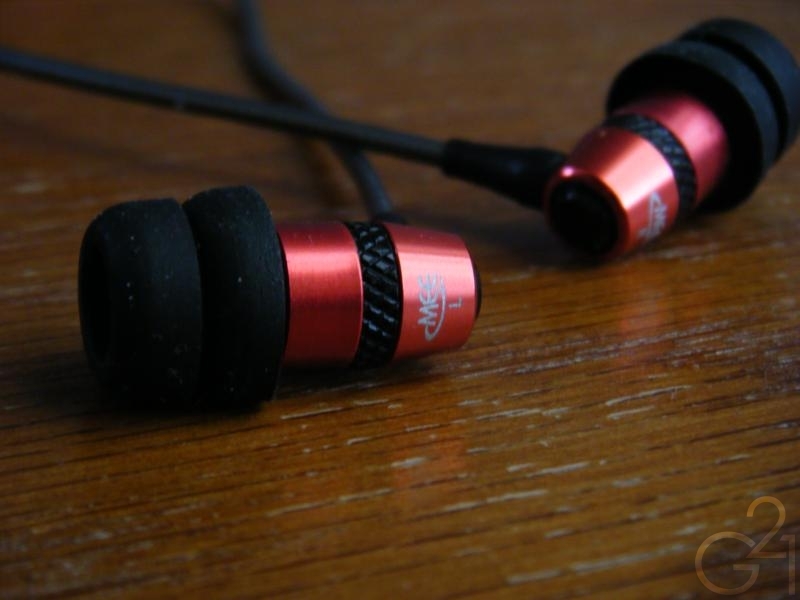 Microphonics are another area in which the M11P+ excel in relation to other IEMs. 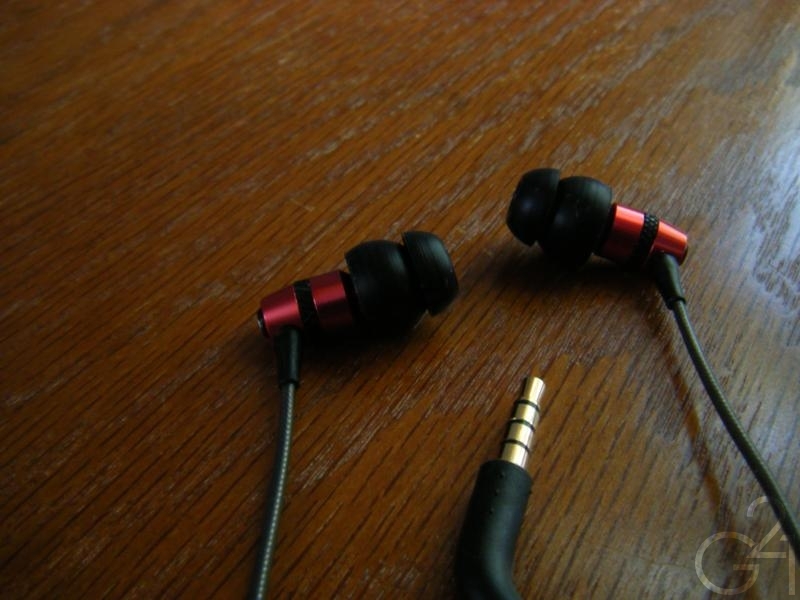 When worn straight down, cable noise is noticeable but only slightly so and when worn over the ear, they are practically eliminated, making these good for wearing while in motion. 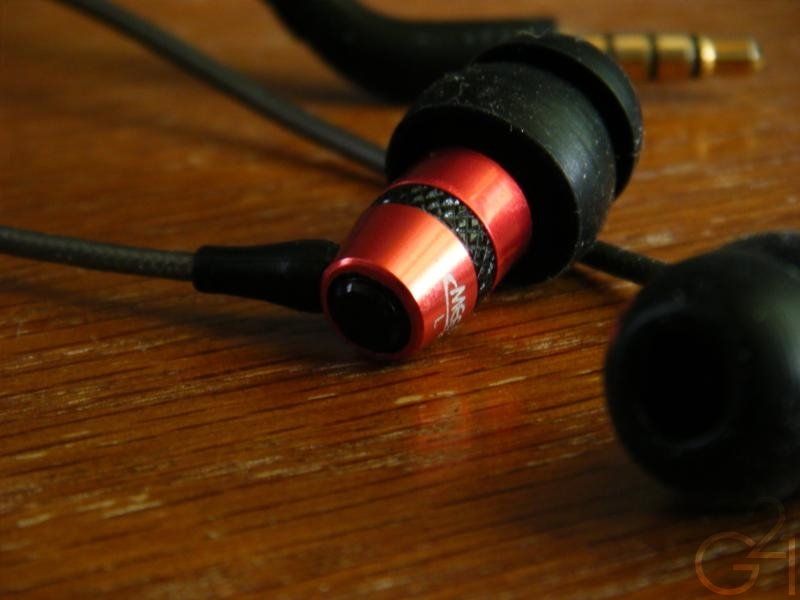 Burn in: The M11P+ IEMs were given upwards of 40 hours of burn in time prior to review. Let’s kick things off with the low end which is easily the most prominent frequency range in the M11P+’s presentation. Bass is very impactful and punchy, adding a great deal of “oomph” to the presentation. Instead of sounding bloated or boomy, bass is actually very tight and well controlled. Only rarely does the low end creep up on the lower midrange. The only thing I can say that the low end lacks in is speed and attack and these are areas in which other dynamic IEMs such as the RE0 M11P+ beat. Moving upwards, the midrange, which is usually understated in MEElectronics offerings, is also rather prominent. I hesitate to call the way the M11P+ presents mids “forward” but it is certainly more in your face than the mids on the M9 and M6. The result is a midrange that sounds much more lively and dynamic than that of any of the other MEElectronics IEMs that I’ve used. Finer details are much easier to pick out versus other MEElectronics IEMs and makes for a very pleasant and full-bodied sound. Mids are slightly warm, which might be a point of contention for accuracy freaks but the added warmth in the midrange was rather pleasant to my ears. Treble is very smooth and non-fatiguing. The high end extends nicely and rolls off gradually after about 14 kHz. Highs are very tame in relation to the M9 and M6, which were both occasionally prone to sibilance. The M11P+ doesn’t have the same propensity to become strident or overly bright. That’s not to say that treble is devoid of detail or “shine”, just that it’s a tad laid back in relation to the other frequency ranges which may be a turn off some users looking for brighter, more forward highs. 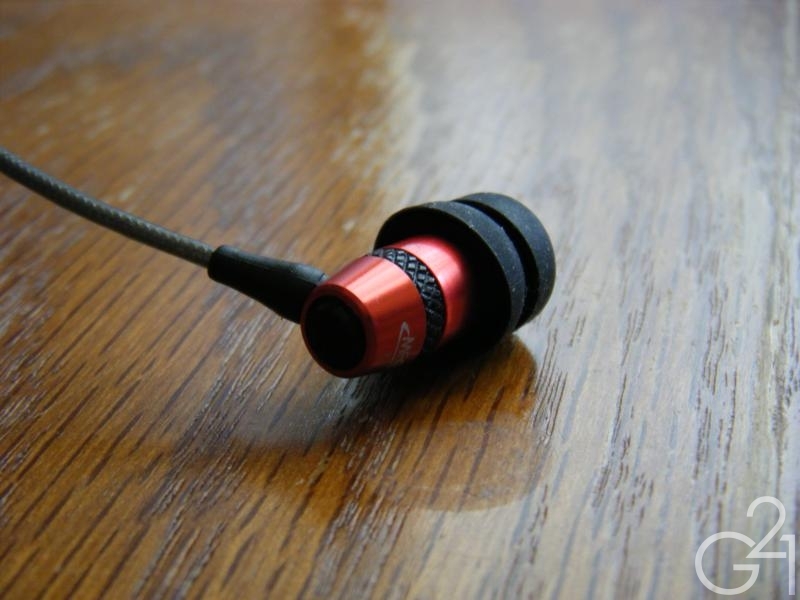 The soundstage presented by the M11P+ is nothing special and sounds rather small and enclosed. Depth is decent enough but I didn’t get the sensation of width that I prefer. Instrument separation and imaging are both average at best. I never really got the sense that I could pick out where instruments were supposed to be on the stage nor could I detect much “air” between various instruments. Was this deficiency necessarily a bad thing? Depends on your taste. Personally, I am a fan of massive soundstages that portray distance within instruments well and allow me to mentally pick out the instruments in their proper places around me so this was a bit of a drawback for me. Nothing I wasn’t willing to forgive in the long run but it’s worth noting and taking into consideration if this is what you’re looking for in an IEM. In a sound signature so heavily influenced by deep, thumping bass, I’m actually quite surprised at just how polite the low end really is. Bass is certainly big but it’s never too big and rarely ventures out of place. This leads to a nicely layered (albeit far from balanced or neutral) sound signature and, with the increased mids versus other MEElectronics IEMs, one that avoids a somewhat V-shaped sound signature that the others present. 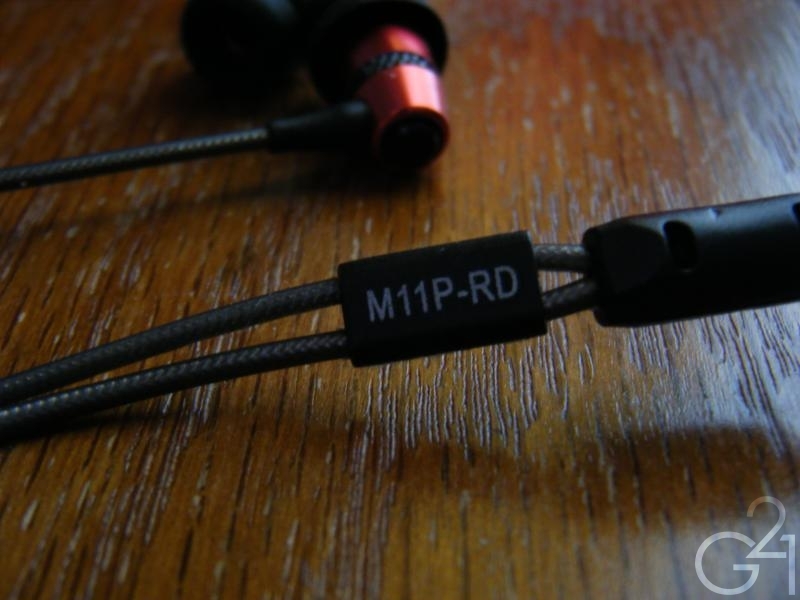 Above all, while listening to the M11P+, I couldn’t help but nod my head and tap my feet along to the music in many cases during my listening tests. These IEMs wouldn’t be my first choice for critical listening. Instead, I would pick these up when I just want to relax and listen to some Hip-Hop, Pop, or Alternative music, genres that I focus on when I just want to have some fun for a while. I am a fan of detailed yet slightly warm sounds and the M11P+ does a good job of providing that type of signature. One of the defining features of the M11P+ IEMs is the inclusion of a microphone and control module. Plugged into an iPhone or any other phone that allows headset functionality via a 3.5mm jack, the M11P+ gains the ability to function as a hands-free headset. Microphone quality was adequate during my testing over Skype and recording a couple of voice memos on my iPod Touch and the microphone module, which also functions as a button, allows you to control the playback of music. The MEElectronics M11P+ IEMs are available now on their website for a special introductory price of $69.99 (at the time of publication) and will regularly be available for $79.99 once the introductory deal is over. The $69.99 retail price is actually not an introductory price and is instead the price the IEMs will regularly be sold for once the introductory sale (currently $59.99) has concluded. 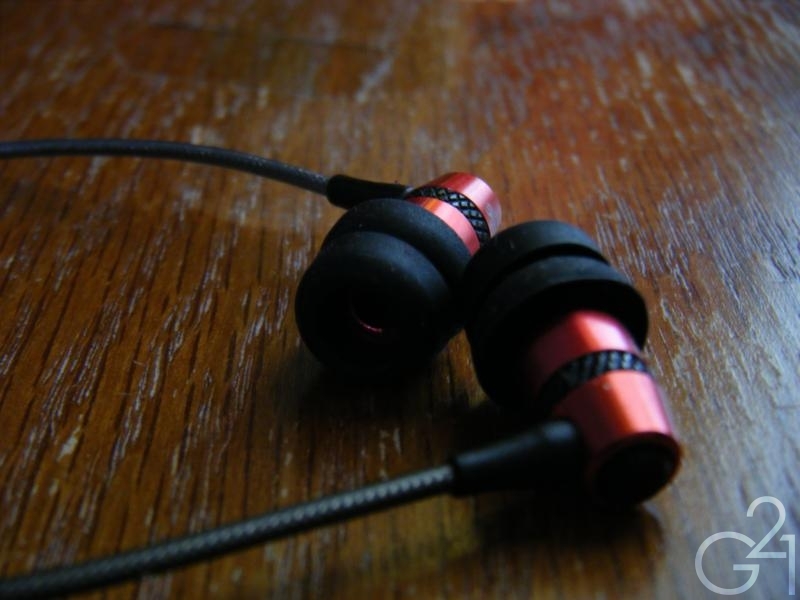 At their current retail price as well as the sale price, they are a very good pick for users looking for an IEM that can also be used as a headset for their smartphone or other portable media device such as the iPod Touch. 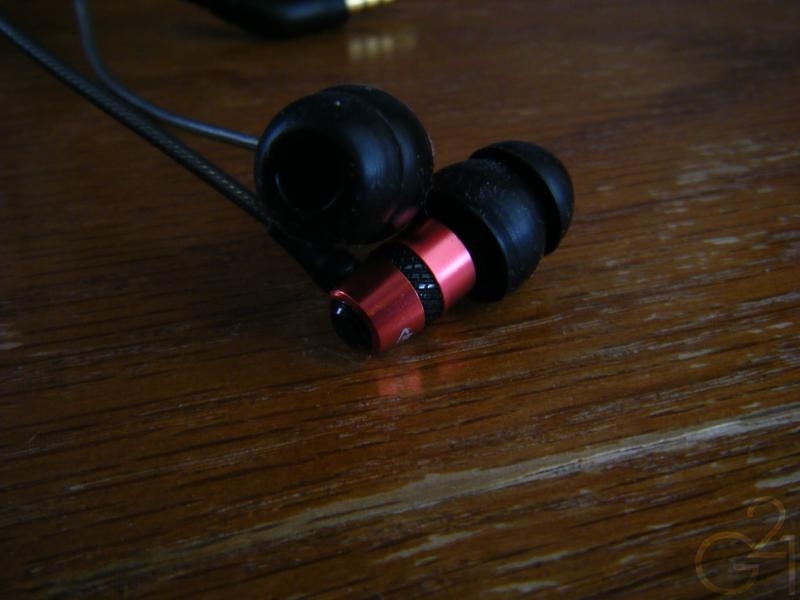 Of all of the MEElectronics products I’ve used, the M11P+ IEMs are undeniably at the top of the heap. Their sound signature is easily one of the most purely entertaining that I’ve heard and on that aspect alone, I can highly recommend them. However, because I call them entertaining doesn’t mean I think they would be a bad choice for accuracy lovers but as I said before, I wouldn’t refer to these as “balanced” or “neutral” so that’s something to consider. For most users looking for a mainstream, bass-driven sound signature, the M11P+ are a great choice for pairing with a portable media player without necessitating the need for an external amplifier to sound great.